We may never find out where Meghan Markle and Prince Harry went on their top-secret honeymoon, but luckily not all celebrity couples have been so hush-hush after their weddings. We already delved through everything Princess Diana wore on her honeymoon, and now it's time to revisit what another icon wore: Marilyn Monroe. 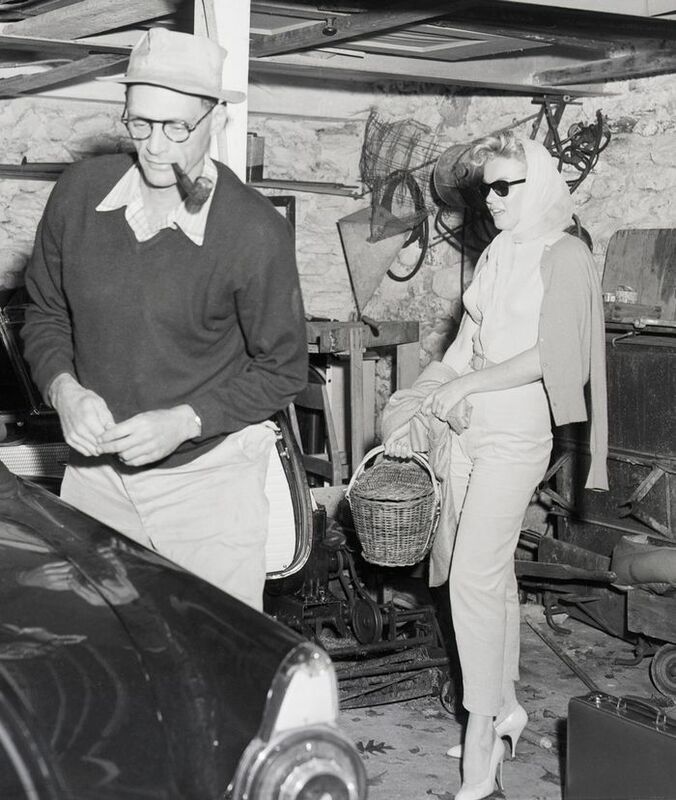 Monroe was married three times, but it was her outfit during her 1956 honeymoon with The Crucible playwright Arthur Miller that caught our eye. Photographed in a cardigan, slim trousers, heels, and a basket bag, Monroe was the epitome of chic. Her look could easily pass for a 2018 outfit, especially considering everyone's obsession with basket bags this summer. Scroll down to see the look for yourself and to shop similar bags.